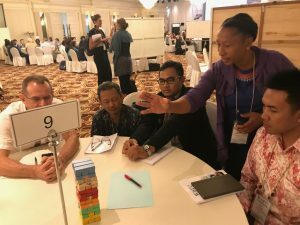 IOI-SA presented its Small-scale Responsible Fisheries Training Project at the dynamic Science Cafe session on Day 1 of the Congress, themed ‘Science Day’. 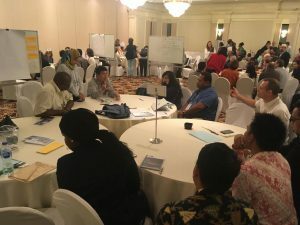 The presentation focused on building partnerships for enhancing sustainable fishing practices in South African coastal communities and showcased the Projects innovative methods in communicating messages on sustainable fishing practices. 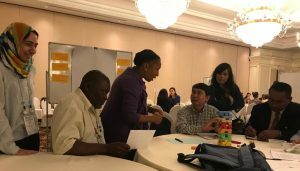 The session was well attended by a group of participants from countries such as Madagascar, Palau, Peru, the US, Laos, China, Indonesia and South Africa. 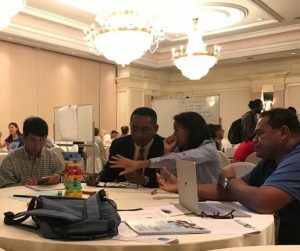 Discussions centered around effective way of communicating and exchanging knowledge with local communities, lack of information on market processes, communities high dependence of fishing activities, supplementary livelihoods, compliance and enforcement, amongst others.